Palya, William L. & Allan, Robert (2003). Dynamical concurrent schedules. Journal of the Experimental Analysis of Behavior, Vol. 79, 1-20. Palya, William L. & Bowers, Matthew T. (2003). Stimulus control in fixed interfood intervals. Learning & Behavior, Vol. 31, 22-34. Hurst, P., & Palya, W. L. (2003). Selecting an effective BBS Process. September 2003, 39-41. Palya, W. L., Walter, D., Kessel, R., & Lucke, R. (2002). Linear Modeling of Steady-State Behavior. Journal of the Experimental Analysis of Behavior, 77, 3-27. This article is a featured article on the JEAB website . A pdf version can be downloaded from that site. Palya, W. L. & Powell, C. P. (2000). Differential conditioning based on a difference in the predictability of reinforcement. Learning and Motivation, 31, 402-415. Palya, W. L. & Walter, D. (1997). Rate of a maintained operant as a function of temporal position within a session . Animal Learning & Behavior, 25, 291-300. Palya, W. L., Walter, D., Kessel, R., & Lucke, R. (1996). Investigating behavioral dynamics with a fixed-time extinction schedule and linear analysis . Journal of the Experimental Analysis of Behavior, 66, 915-409. Palya, W. L. & Chu, J. Y. M. (1996). Real-time dynamics in the interaction between a trial stimulus and its temporal context . Animal Learning & Behavior, 24, 92-104. Palya, W. L. (1993). Bipolar control in fixed interfood intervals . Journal of the Experimental Analysis of Behavior, 60, 345-359. Palya, W. L. (1992). Dynamics in the fine structure of schedule-controlled behavior . Journal of the Experimental Analysis of Behavior, 57, 267-287. Palya, W. L. (1991). A catalyst for discussion on observables, inference, and behaviorism . The Behavior Analyst, 14, 247. Palya, W. L. & Bevins, R. A. (1990). Serial conditioning as a function of stimulus, response, and temporal dependencies . Journal of the Experimental Analysis of Behavior, 53, 65-85. Chu, J. Y. M., Palya, W. L., & Walter, D. E. (1995). Creating hypertext markup language document for an information server. Behavior, Research Methods, Instruments, & Computers, 27, 200-205. Palya, W. L., Walter, D. E., & Chu , J. Y. M. (1995). An inexpensive 1- millisecond experiment control interface for IBM PCs and its user-friendly control language . Behavior, Research Methods, Instruments, & Computers, 27, 129-130. Palya, W. L. & Walter, D. E. (1993). A powerful, inexpensive experiment controller or IBM PC interface and experiment control language . Behavior, Research Methods, Instruments, & Computers, 25, 127-136. Palya, W. L. (1991). Laser printers as powerful tools for the scientific visualization of behavior. Behavior, Research Methods, Instruments, & Computers, 23, 277-282. Journal of the Experimental Analysis of Behavior, 1996-1999. Society for the Quantitative Analyses of Behavior, 1994-current. Behavior, Research Methods, Instruments & Computers, 1990-current. 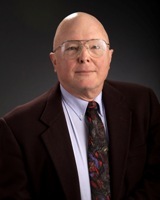 President, Society for Computers in Psychology, 1994-1995. Society for Computers in Psychology, 1993-1995. 1994-1999 Program Chair for Society for the Quantitative Analyses of Behavior. 1992 Program Chair for American Psychological Association , Division 25. 1991 Program Chair for Society for Computers in Psychology . 1990 Co-Program Chair (with M. J. Marr) for Jacksonville Conference on Behavior Dynamics, June 1-3. Papers published in special issue of Journal of the Experimental Analysis of Behavior, 1992, Vol. 57. 1988,1990,1992 Program Chair for Atlanta Area Behavior Analysts Meeting. Palya, W. L. The Conceptual Foundations of Behavior Analysis Vol. 1 (Ed 1.01 2001. (Develops logical foundations.) 251 pages. Palya, W. L. Lecture Notes for Conditioning and Learning (Ed. 2.3, 2001). (Presents conceptual framework and Facts.) 485 pages. Palya, W. L. Experimental Methods Laboratory Manual (11.0 Ed., 1996). (Illustrates basic principles.) 280 pages. Palya, W. L., & Walter, D. E. Document set for the High Performance Experiment Controller (Rev. 1.2, 1993). (Provides instruction set and other information.) 217 pages. Palya, W. L. Research Methods Lecture Notes Vol. 2 (1st Ed., 1992. (Develops statistical foundations.) 305 pages. Palya, W. L., & Walter, D. E. Document set for Experiment Controller(Rev. 2.0, 1990). (Provides instruction set and other information.) 172 pages. International Science and Engineering Fair, Special Award Judge, 1994. 1992 Jacksonville State University Faculty Scholar. $147,000. National Science Foundation, 1989-1992. Development of a Distributed Research Environment for Behavioral and Cognitive Science. $68,000. National Institutes of Health, 1989-1991. Determinants of Responding in Clocked Fixed-Time Schedules. $4,000. National Science Foundation, 1990-1992. Research Experiences for Undergraduates. $150,000. Eminent Scholar Program, Jacksonville State University . 1989-1990. Funding to bring an eminent scholar to the university for one year and to provide for an international conference.